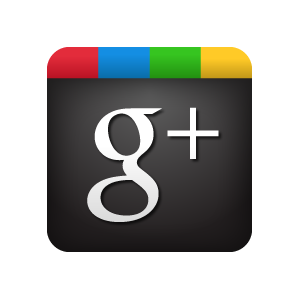 Small business owners, not sure what google+ is and why you need to be there? Google+ has thus far not been taken overly serious by businesses trying to market their products and services. This is swiftly changing! Google+ has now positioned itself nicely to challenge Facebook as a major social network for business. Websites using the +1 Button increase page traffic by 350%, and more than 925,000 people join Google+ each day! Combine all the functionality of your Google account, and massive search engine benefits, you have something we can get serious about. Confused on how to use Google+? No worries – use these to get started! Complete your Google+ profile – Give this a bit of thought as you do it. Use compelling photos and images, and make sure you link out to your other social media accounts. List your key information – In particular business hours, contact information, along with maps and directions. Link to your sites – make sure you link to your main business blog or site. This is a must! Create your business page –You can create content of any length, including video. This has strong benefits for search results as well as people who find you on Google+. Link to your other material – Link out to your blog posts. In addition to having them indexed nearly instantly, this also has a number of SEO advantages. You can also use your Google+ page for making posts, including multimedia that can link to your pages elsewhere. The possibilities are staggering. Utilize Direct Connect – Utilize this feature in Google+ to let visitors to add you to circles when they find you in search. Think of this as a Facebook “Like”. Use video chat in Google+ Hangouts – This one is incredibly useful. Whenever you conduct a video chat, Google+ streams it, records it, and sends you the recording via email. After that you can upload to YouTube, thus creating even more useful content. One terrific way to use this is to make impromptu product demos. Want more information? Feel free to reach out to YNS and we can show you Your Next Step to engage Google+!